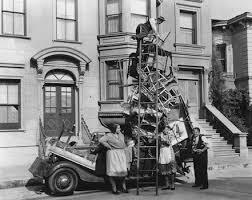 Due to the expiration of our lease, Global Action has taken up temporary residence in the home of Dr. Robert Zuber where we will remain until UN-convenient and cost-effective space can be secured. While we have enjoyed and benefited greatly from our decade long stay at UN Plaza, we are doing everything possible to maintain the most important, relevant and serviceable program and human connections through this new phase. With support from our generous donors and the skills of our interns and fellows, we will continue to canvas UN headquarters looking for the most fruitful discussions and then linking a host of human security concerns – from sustainable agriculture and development finance to water access and conflict minerals – to the UNs core peace and security mandate. At the same time, through publications, convenings and social media, we will continue to press diplomats and NGOs to see a larger and more inter-connected picture, including more direct caregiving for the UN as an institution during this time of uncertainty both for itself and for the broader global community. In addition, we have an exciting trip planned to Indonesia this summer to reflect with government officials and other stakeholders – persons who anticipate taking an elected seat in the UN Security Council in 2019 — on ways to make UN peacekeeping better positioned to support political negotiations and agreements when conflict threatens. We will also stay connected to events in El Salvador, Puerto Rico, Central Africa and other sites of violence and injustice, helping to make relevant policy connections that can help restore the peace. And we will welcome a wonderful new cohort of interns to help make all our commitments through this transition possible. As the world continues to spin in unpredictable ways, please stay connected to us through twitter (@globalactionpw) and our policy blog (click on the tree to the right of this post). We welcome your questions, your suggestions, your financial support and even specific leads on possible consulting projects to help us keep our small operation afloat. We’ll let you know when we’ve found a suitable new home. Global Action is a 501(c)3 organization approved by the IRS as of 1 January 2013! Please consider donating on our JustGive.org Page! Be Part of the Conversation through Social Media! 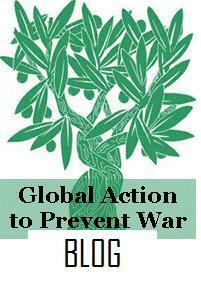 Follow GLOBAL ACTION TO PREVENT WAR on Facebook and Twitter! GAPW has an MOU with our partners in Cameroon-- LUKMEF-CAMEROON!